prestige and honor among one’s fellows is in fact typically linked with material possessions and reproductive success. Like other psychological traits related to aggression and risk-taking, the pursuit of social prestige by heroic acts is a high risk/high reward behavior, where evidently the rewards sufficiently outweighed the risks over a prolonged period of evolutionary time . the value of art is largely unrelated to aesthetics: a priceless masterpiece becomes worthless if found to be a forgery; soup cans and comic strips become high art when the art world says they are, and then command conspicuously wasteful prices . They know that natural selection can only play a foundational role in understanding human culture and that “human culture itself,” in the words of another Darwinian hardliner, Daniel Dennett, “is a more fecund generator of brilliant innovations” than genetic endowment. This is why they came up with the concept of memes, which they think “can do justice to the humanities and sciences at the same time” by providing an explanation of cultural changes in terms of “new selective pressures” created by culture itself. They acknowledge that culture has evolved through cultural selection transmitted “perceptually, not genetically”. We are the only species that has discovered other things to die for (and to kill for): freedom, democracy, truth, communism, Roman Catholicism, Islam, and many other meme complexes (memes made up of memes) . We are the only species that articulates reasons to account for why we do things and the only species that attempts to persuade others why those reasons are good, often in the name of goals that cannot be accounted for in straightforward evolutionary terms. They have also argued that human cultural activity has changed the environments they respond to, creating “cognitive niches” or “cultural niches” with very different selective pressures. Pinker believes that humans evolved sufficient genetic capacities to be able to select the best memes and discard culturally inefficient or dysfunctional memes. Having tried to be as fair as possible to the Darwinians, I will offer a few minimal counter thoughts. I have noticed that, as much Pinker and Dennett acknowledge the role of culture itself in the evolution of memes, they are inclined either to trivialize cultural achievements outside the sciences or identify them as “gratuitous but harmless decorations.” They much prefer to concentrate on “innovations” that can be fitted straightforwardly into a selective process. But cultural achievements, including why men die for freedom and for religious beliefs, can’t be defined as mere technical “competences” or as inefficient or “gratuitous decorations” for the sake of pleasurable moments. Dennett ponders over the fact that all the cultural genius he lists are males, why “there have not yet been any female superstar geniuses”. He offers no answer except to suggest that the answer may lie in the process of cultural evolution. But it should also be noted that every single outstanding cultural achiever he mentions, including every single major innovation, was European or occurred inside Europe. If this is so (and ignoring genetic differences between Europeans and other peoples that might well be relevant), why should the answer not lie in the process of Western cultural evolution? Almost every academic he mentions in his book—countless cognitive psychologists and scientists—also happen to be working inside the West. Bennett can go on offering brilliant third-person explanations that lie well beyond my comprehension and competence. I will only suggest that self-consciousness, consciousness of consciousness, out of which cognitive psychology emerged, was strictly a Western invention. particularly in Western culture, we have placed consciousness and conscious experience on a pedestal. Many of our religious and intellectual traditions emphasize the development of awareness in the individual mind. … Our implicit value system assumes a rather elevated level of awareness and self-control. … This idea traces back to the Socratic notion of the examined life — that is, a life made conscious by the habit of constant reflection . I will conclude answering this question by asserting that it goes against the entire history of cognition—as well as actual intellectual developments, the history of science, mathematics, psychology, physics, chemistry—to be satisfied with the degree of consciousness found in Upper Paleolithic peoples and all non-Western civilizations, which never reached the stage of Piaget’s formal operational thinking and which, in the case of China and the Islamic world, stagnated intellectually after the Bronze Age; i.e., after about 1300 AD. Europeans reached a higher level of consciousness beginning with the ancient Mycenaean or Homeric Greeks for whom the highest value in life was honorable struggle to the death for pure prestige, leading to the discovery of the faculty of the mind, and an increasing awareness of their own agency as human beings capable of understanding the workings of the world in terms of self-determined or rationally validated regularities coupled with a growing awareness that man was the measure of all things, rather than a mere object of nature and mysterious forces. But this self-consciousness was in its infancy in ancient times and it would take many cultural revolutions all the way to German idealism during the 1800s for a full account of how the “self-conscious I” can be shown to lie at the very basis of all knowledge—and beyond this outlook to develop a philosophical-historical account that demonstrates a full awareness that this self-conscious I was self-generated only within the particular cultural setting of Western Civilization. Ricardo Duchesne: I take it you are referring to an article I wrote with the title, “Should the Protestant Ethic Become the Spirit of the Alt Right”? I can barely claim knowledge about the Protestant Reformation and about the religious beliefs of the many denominations and sects that grew out of this Reformation. I know something about Hegel’s assessment of the historical import of Protestantism, and about the controversy surrounding Max Weber’s famous essay, “The Protestant Ethic and the Spirit of Capitalism.” There is much to be learned from Hegel’s and Weber’s assessment of Protestantism. 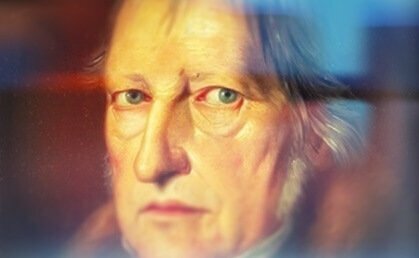 Hegel interpreted the Reformation, specifically Luther’s writings, as a call upon individual persons to take responsibility for judging what is true and morally right. He saw Lutherans as advocates for the liberation of the inwardness or conscience of individual believers from the unquestioned authority of priests, for the priesthood of every believer, a call which encouraged the eventual use of reason as the ultimate standard for what is truthful against all externally imposed authorities. Protestantism, however, still subjected reason to divine authority as expressed in the Bible, and, in this respect, for Hegel, it was a qualified conception of freedom of conscience. The Lutheran view still demanded obedience to a divine will beyond reason. 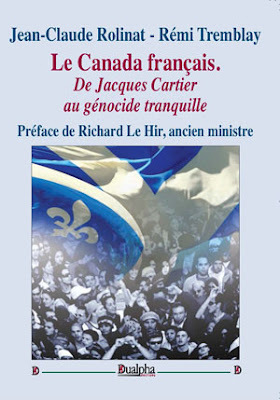 Grégoire Canlorbe: Thank you for your time. Would you like to add a thing or two? Ricardo Duchesne: Thanks for the great and demanding questions. I am well aware that the claims I make here will require a lot more work than what I have published.